Guests crowded into the Hamilton for wine and cheese and to congratulate the well-known crisis manager. 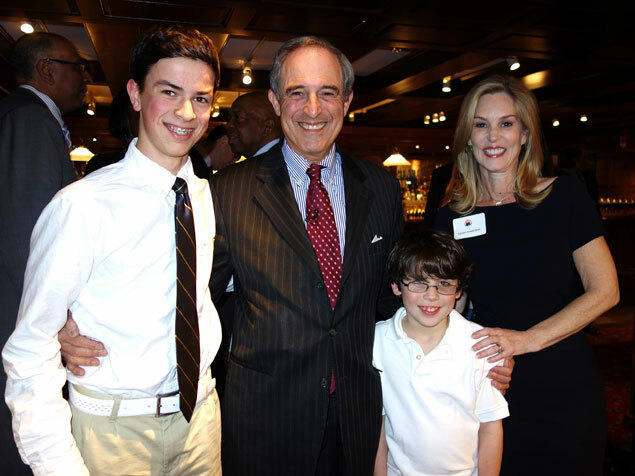 Lanny Davis with his family: sons Josh and Jeremy Davis and wife Carolyn Atwell Davis. 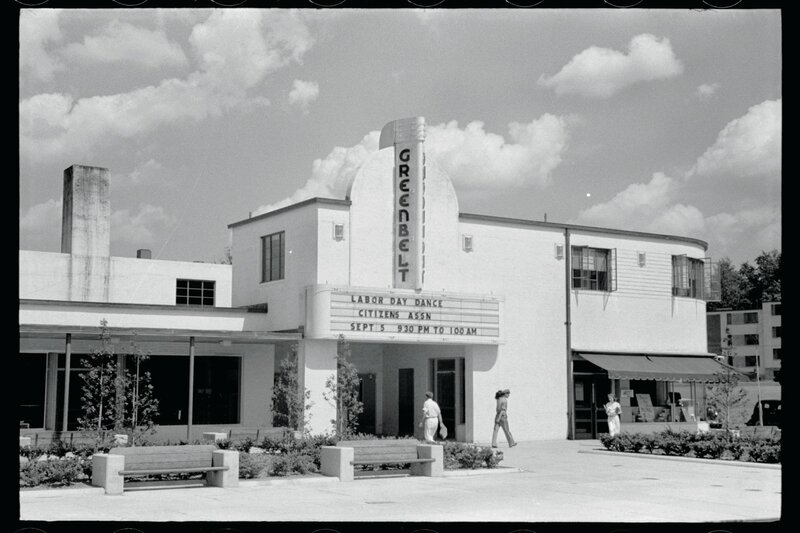 Photographs by Carol Ross Joynt. Controversy, heat, and hatred may follow Lanny Davis wherever he goes, but for a book party he knows to stack the deck with friendlies—of both parties—and a camera from C-SPAN just in case. Tuesday night he crammed almost 300 wine-sipping and cheese-nibbling “friends” into a space for 150 at the Hamilton to officially launch his latest book, Crisis Tales. 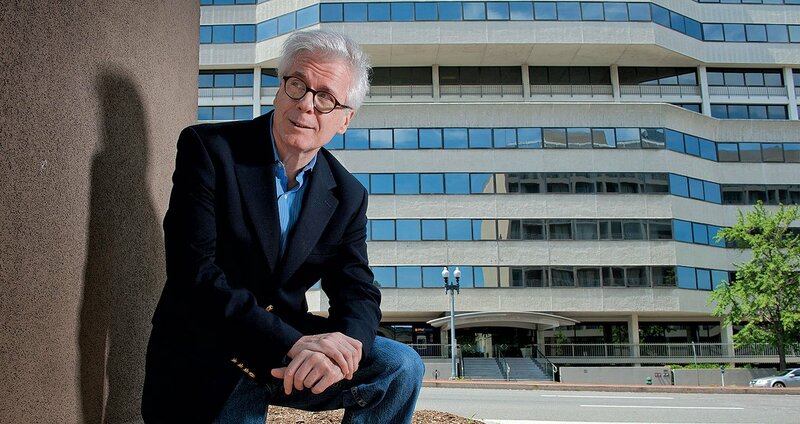 The book is his recollections of the ups and downs of his crisis management career, with the notable and the notorious appearing on the pages. A little Bill Clinton here, a little Martha Stewart there, some Dan Snyder, Trent Lott, and Charles Rangel, plus a misbegotten foray into the nasty business of an Ivory Coast tyrant. 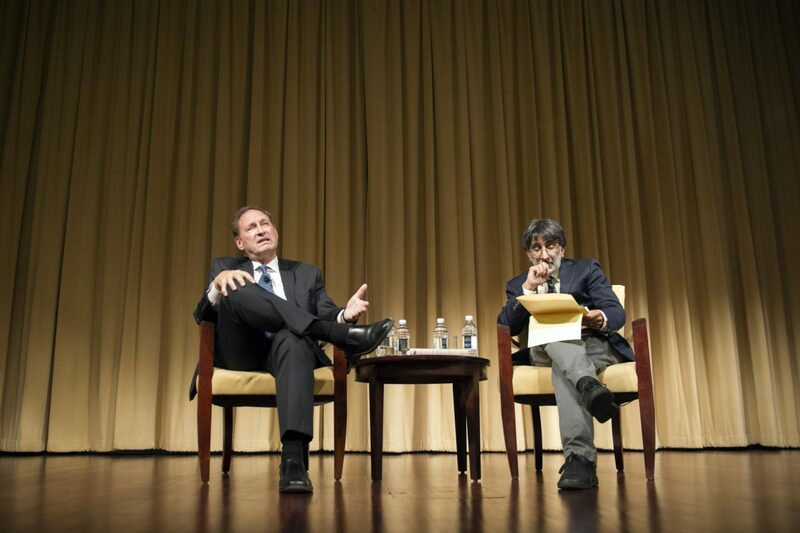 The guests included former RNC chairman Michael Steele, who is a business partner of Davis; Republican congressman Darrell Issa of California, who is chairman of the Committee on Oversight and Government Reform; Ted Olson, who was solicitor general in the George W. Bush White House; conservatives Cal Thomas and Grover Norquist; author Ron Kessler; and Democratic congressmen Elijah Cummings of Maryland and Chaka Fattah of Pennsylvania. Most of them took turns posing with their “good friend” Davis, singing his praises and making light of the mixed-bag nature of the guest list. Listening to the speeches, it would be easy to think Washington is a city in which elected officials get along swimmingly and work out their differences in ways that are both collaborative and affable. They think saying it will make it true. Of course, if that were the case, a behind-the-scenes negotiator like Lanny Davis would be out of a career. So we’ll go along with the pretense, because it was a party and the back-slapping was energetic. What stood out about the evening for Davis was the presence of his family—his wife and sons Josh, 14, and Jeremy, 8. “The best part was Josh, who is a teenager of few words to dad, proud of his dad and not embarrassed to show it,” said Davis, adding that Jeremy, too, “had a look of awe.” Enough reason to write books. 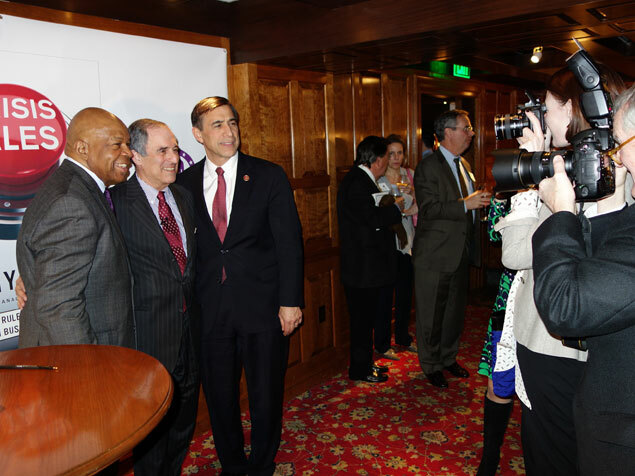 Democrat Elijah Cummings and Republican Darrell Issa pose with Lanny Davis in the middle. 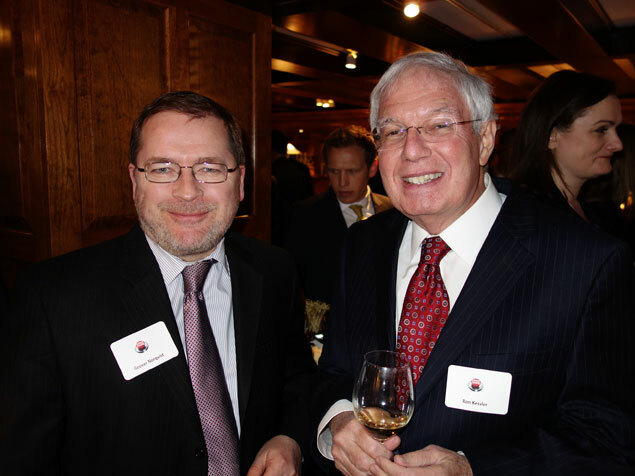 Grover Norquist and Ron Kessler.